(Chicago Tribune) Cook County State’s Attorney Kim Foxx should stay in office despite the avalanche of criticism that’s been leveled at her over the handling of “Empire” actor Jussie Smollett’s criminal case, Chicago Mayor Rahm Emanuel said Friday. 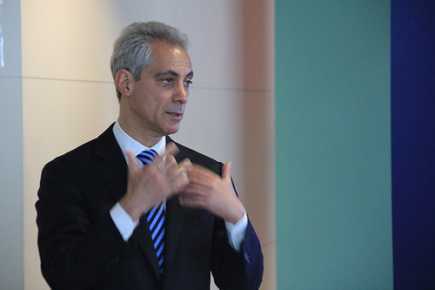 Emanuel, who last week blasted prosecutors’ decision to drop all charges against Smollett, said Foxx needs to focus on answering questions about the case but that he’s “totally against” the idea of her stepping down. A former assistant state’s attorney in Foxx’s office on Thursday filed a petition seeking a special prosecutor to look into the case and determine whether Smollett should be recharged with staging a hate crime and whether Foxx or people who work for her interfered with the investigation.